A few weeks back I picked up a pair of the Atomic Blogs from my shop for the 09/10 season. 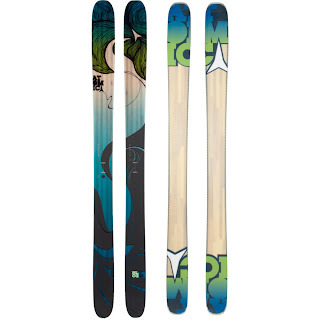 Initially I had some other skis in mind, but I couldn't get them in the right length. My manager recommended these- I got a hell of a deal on them. I'm still on my EP's for full out powder days, so I just wanted something big that would be good for everyday ripping. We'll see how these hold up to the challenge. I'll post a review of the Blogs once the season gets going and I get some days on these things.